The most important step in the home buying process is choosing the right lender. Working with a good lender will guarantee that your home purchase will be successful and relatively hassle free. The quality of service will not only make a difference in how good you are treated, but also in how much money you save. When choosing a mortgage lender, you shouldn’t focus only on interest rates and closing costs, but also on customer service, fees and understanding what your rights are. That is why you should always be prepared before meeting with a lender. 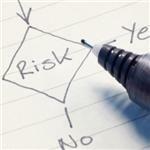 Knowing what questions to ask can make the difference between you getting a good deal or a bad deal, and will save you a lot of trouble in the long run. Before you get started, get pre-qualified or pre-approved for loans to make securing a loan an easier process. Reputation. There are plenty of mortgage companies available nowadays. Some of them are big and with a long history, and some are smaller and fairly new. Just because you never heard of a mortgage company doesn’t mean you should automatically dismiss it. Whether it is a well-known or a less known company, you should always do your homework. Check their ratings and feedback with the Better Business Bureau (BBB) and the local Chamber of Commerce, and try to find out as much as possible about them. Customer Service. After choosing a lender, you are going to be working with them for a long time, from when you first apply for the mortgage loan until the closing, and beyond. You should feel comfortable working with your lender, and they should be available to answer all your questions and concerns. 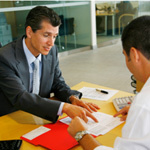 If you feel pressured into signing a contract before you are ready, you should look for another lender. Product Selection. Before applying for a mortgage loan you should have an idea of what types of mortgage loans you are considering, especially length-wise. Top lenders offer the most popular mortgage products and will work with you to determine what your best choice would be. Once you have found a few lenders that you are considering working with, make sure you ask them these 10 questions before committing to one of them. If you don’t like the answers that you receive, keep looking until you find a lender that you feel more comfortable with. Which type of loan is the best for me? 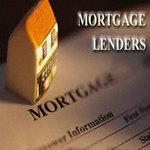 A good lender will look into your financial situation before recommending a mortgage loan. Then he or she will explain the differences between each type of loan, and work with you to make sure you choose the one that best suits your budget. What will my interest rate be? Depending on what type of loan you choose, your interest rate might be fixed, adjustable, or a combination of both. Keep in mind that the interest rate on a fixed rate mortgage loan will remain the same throughout the life of the loan, unlike the interest rate on an adjustable rate mortgage loan which can increase or decrease multiple times until the loan is paid off. What will the closing costs and fees for the loan be? Lenders are required by law to provide a good faith estimate which will include a list of fees and costs associated with the loan, such as the appraisal fee, taxes, credit report, the loan application fee and more. Some of these fees can be reduced, or even waived or refunded, so make sure you speak to your lender about that, too. How much will my down payment be? Some loans require that you pay a 20 percent down payment, but there are others that require a lower percent. The amount that you put down affects how much you can borrow, your interest rate, and the monthly payment, but the down payment mostly depends on your budget. What are the qualifying guidelines? Once you choose a type of loan, you should find out if you qualify for it. The qualifying guidelines can relate to your credit score, income, employment status, or properties that you own. Certain programs, such as ones for first time home buyers, offer easier qualifying guidelines. What documents do I need to provide? Depending on the lender, you will have to provide documents such as proof of assets and income, federal tax returns, a list of credit cards and loans, and others. It’s a good idea to start gathering these documents early, because some of them may take a little while to get a hold of. How long will it take to process my application? It usually takes between 45 to 60 days for the loan application to be processed. This depends on how quickly the lender can appraise the property and verify your credit report, employment status and bank accounts. You should get loan pre-approval to make things easier. How much will my monthly payment be? The amount that you’re going to be paying each moth depends on the type of loan, the interest rates, and the down payment. The lender can switch things around so that your monthly payment will be something that will fit your budget. You should keep in mind that a lower monthly payment doesn’t also mean a lower overall cost of the loan. Will I be able to lock the interest rate? The interest rate can fluctuate by a lot between the time you apply for the loan and the closing. 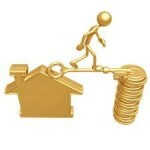 Locking the rate will ensure that the interest rate doesn’t increase by the time the loan is closed. It is also important to ask your lender if there is a fee associated with locking the rate. Look here for a list of the top fixed rate mortgage lenders. Is there a prepayment penalty? Prepayment penalties are no longer allowed in some states, but it’s always a good idea to make sure before signing anything. If you think there is a chance you might want to pay off the loan before its due date, find out if there is a prepayment penalty and decide if you are comfortable with it. Don’t take your mortgage lender choice for granted. Asking these questions will not only help you find out more about different lenders, but it will also show them that you are informed and willing to do research and shop around before committing.